To start off I should say I’m not just picking on Halfords, as they’re definitely not the only retailer to do this, but this is a cautionary tale to make sure you pay the right price. 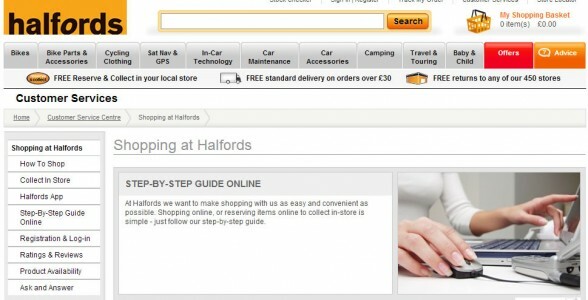 If you go to Halfords website, you can check stock of items in your local store. You can even reserve them if you wish. I did this on Tuesday, checked stock of a tyre, and they had it. I was on lunch and was popping straight up there, so I didn’t bother to reserve the item. I just went in a bought it, and that should have been it. Except I thought the price was higher than I had remembered online – so I checked it when I got back to the office. Sure enough the tyre was 25% more expensive in store! So instead of £15, I had been charged £20! Now that’s a big difference. The thing is, if I had reserved the item, I would have been charged the web price in store! That’s naughty in my book. To be fair to Halfords, once I played by their rules, they sorted it with no fuss. I reserved the item, then took the tyre I had bought the day before back, and asked to return it and buy it back cheaper! And they happily just refunded the difference. So just watch out – check the price online and reserve in advance and you’ll actually save money! FoD in a different time! What’s the point in road cycling?